Just this summer, NASA produced this poster about the New Horizons mission. Last Friday morning, July 1, I tweeted that we were exactly 2.5 years – to the day – from our hoped-for close flyby of our post-Pluto target on Jan. 1, 2019. Little did I know when I tweeted that, but NASA would announce its approval of our flyby later that same day! 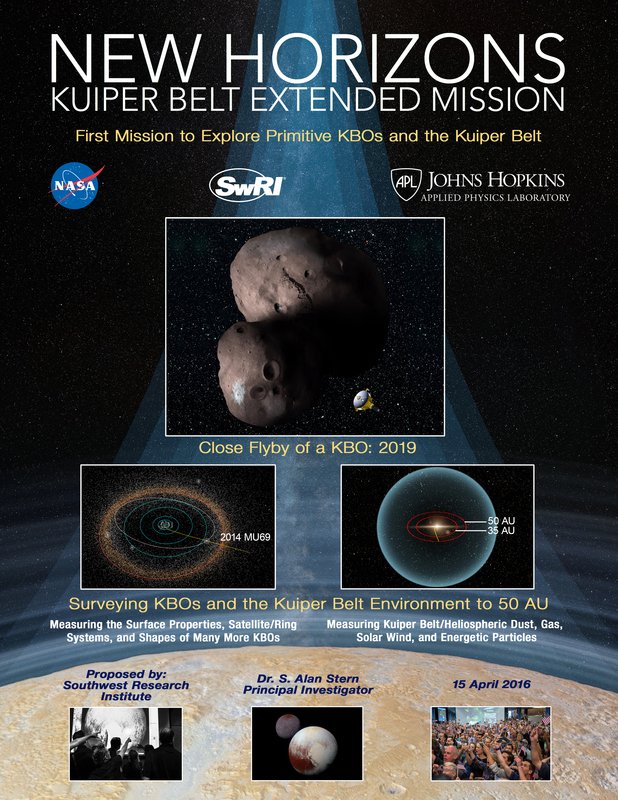 There's no doubt – because NASA approved our extended mission to explore the Kuiper Belt (KB) through 2021 – July 1 marked a great day for New Horizons. 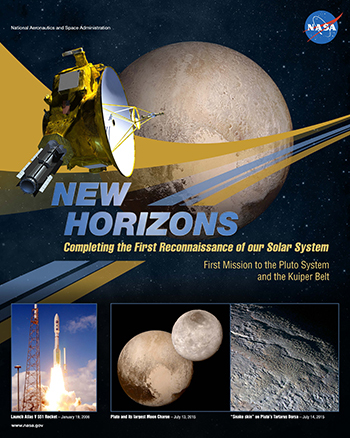 Our new mission is called the New Horizons KEM, which stands for KB Extended Mission. 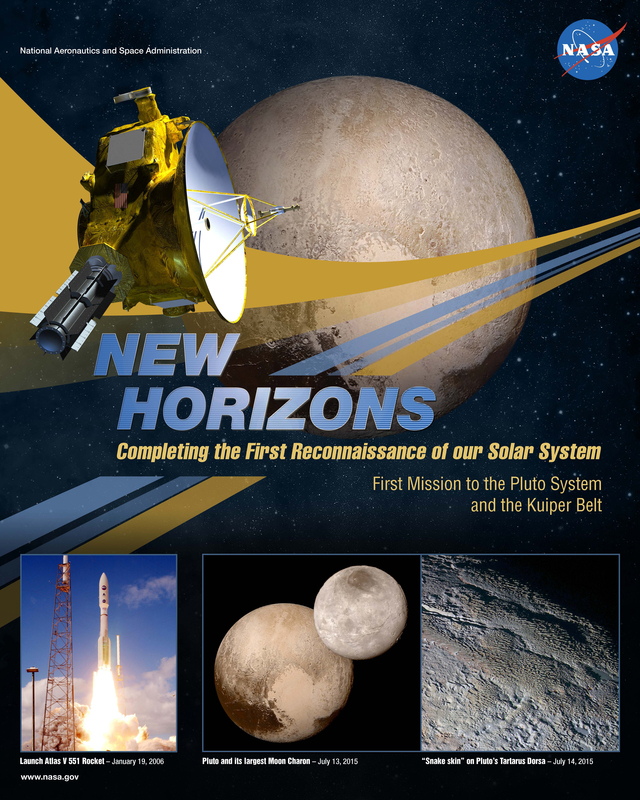 Here's the cover of the New Horizons KEM proposal that we submitted to NASA. As you may already know, that extended mission plan includes the first-ever close flyby of a small Kuiper Belt object (KBO), as well as more-distant studies of about 20 other KBOs of various sizes, and heliospheric dust and plasma science as the spacecraft continues to a distance of 50 astronomical units (that is, 50 times as far from the Sun as Earth) and to the farthest flung edge of Pluto's orbit. 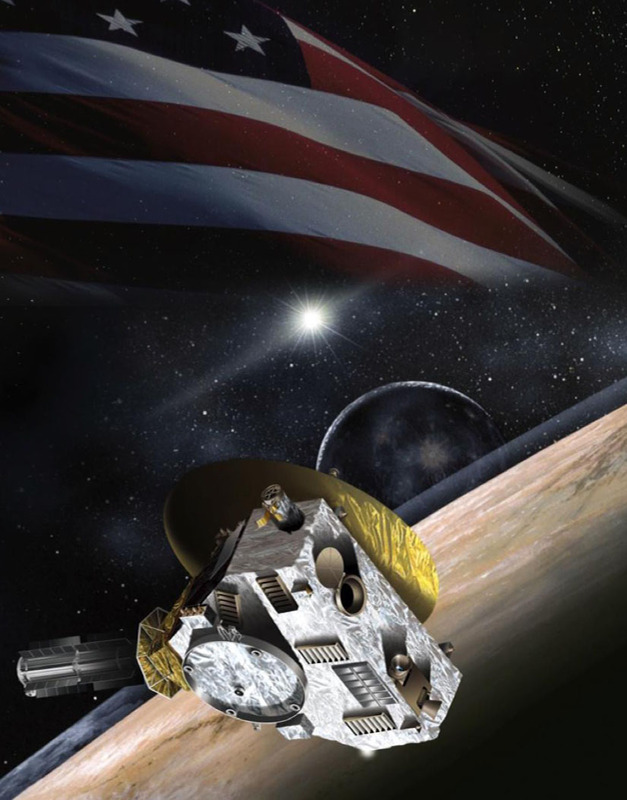 I can't tell you how proud and excited the New Horizons team is to continue exploring! With the extended mission we'll not just set distance records for exploring farther worlds than any spacecraft ever has – or even plans to – but we'll likely be the only NASA mission to reach a new, unexplored outer solar system object in the next decade. And, of course, while we're planning and executing that mission, we'll be mining the Pluto dataset for more discoveries and revolutionizing what is known about the Kuiper Belt. New Horizons is healthy and has downloaded three-quarters of the 50-plus gigabits of Pluto system data it collected last summer. We expect this download to continue through October, when all of the Pluto flyby data will have finally reached the ground. Additionally, this month, we'll conduct a major calibration of all seven scientific instruments aboard New Horizons and send all of those data to the ground by late September or early October. New Horizons completed the first era of planetary reconnaissance by exploring the Pluto system last July. Recorded valuable new data over more than 300 million miles of space beyond Pluto. Made our first studies of a small KBO, and planned more than half a dozen more such observations to be completed later in 2016. None of this would have been possible without the dedicated, hard work of the 200-plus men and women who have worked directly on New Horizons in the past year, as well the work from all those at NASA, the Deep Space Network of communications and tracking antennas, and all those who designed and built, and tested and launched our spacecraft over a decade ago. The capstone exploration of Pluto that completed humankind's first era of reconnaissance of the planets in our solar system is now behind us. We are very proud of how well that went and how much new knowledge resulted from it. But we are also excited to explore further – another flyby a billion miles beyond Pluto – and to see what knowledge and inspiration that exploration will bring just 2.5 years from now. Well, that's it for now. I'll write again soon. Until then, I hope you'll keep exploring – just as we do!